I felt good on today’s ride. 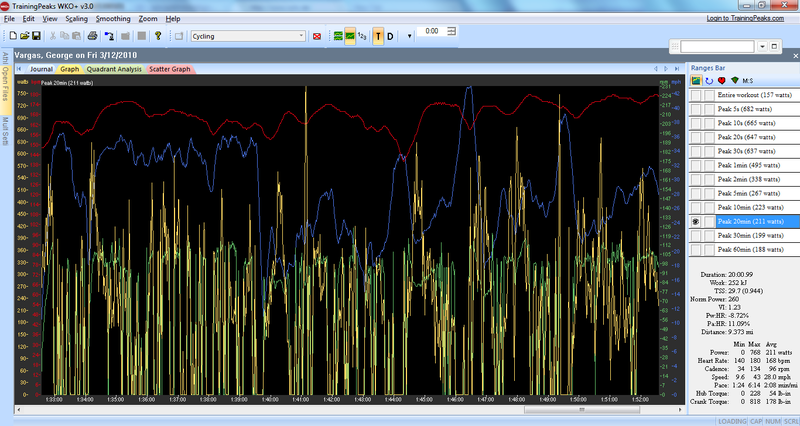 When a few riders surged on a climb I went with them and held their wheel just fine. I felt I had plenty of power on reserve. At the sprint, I was in the leadout train but I was poorly positioned when the sprint finally happened– lesson learned. 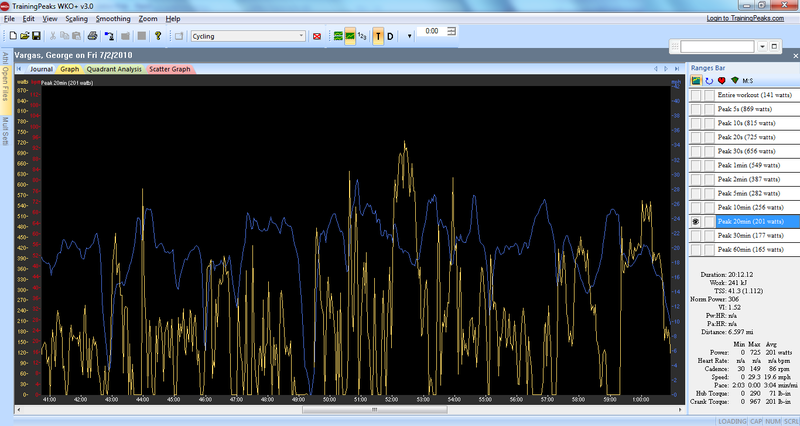 I don’t have much of a sprint but I seem to be always well positioned and I seem to read the flow of the peloton well. 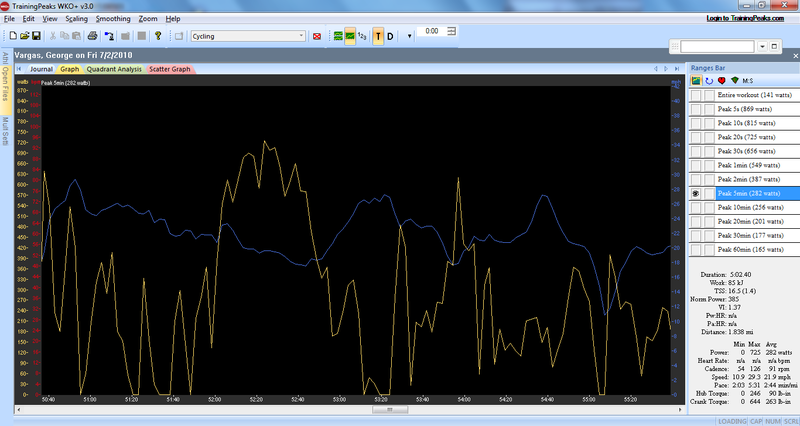 I compared the numbers on today’s ride to the last hard Friday ride in recent memory. 3/12. My Normalized Power for 20 minutes on 3/12 was 260 watts while my Normalized Power 7/2 was 306 watts 4.55 w/kg! My Normalized Power for 5 minutes on 3/12 was 360 watts on 7/2 was 385 watts 5.73 w/kg!